Many people have the goal of building the perfect home that is designed just for them, with the rooms, fixtures, and appliances all personalized to their needs. Doing so is a challenge, and finding the vacant land on which to build that home is even moreso. Aside from the fact that finding viable, vacant land can be difficult, there are other challenges and obstacles to watch out for when seeking the perfect plot of land. 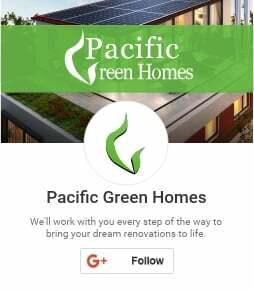 Once you have found that piece of land and are ready to build, contact Pacific Green Homes and we will oversee all aspects of your new home construction, from the initial design all the way to the custom build. Your new home will be just like—or even better—than you imagined it. Before you can get started, follow this guide on how to choose vacant land near Los Angeles to make sure that the dream plot of land in which you are interested does not turn out to be a nightmare in disguise. As with most things in life, you need to look beneath the surface to get the full picture. Land that might look perfectly useable could be riddled with soil contaminants. Even if there is another property on the land, the condition of the soil could have changed since that structure was built. The risk of soil contamination increases if a building that handles chemicals, like a gas station, was previously located on the property. Be sure to have a specialist take soil samples and check to see that the land is fit for human habitation before making an offer. That might add more expense, but it is better than buying land that you will not be able to use or sell later on. When scouting a plot of vacant land, you should consult with a surveyor to find out where the boundaries of that land are located. This is important because it sets the limits of where you can build, how large the yard can be, and so on. There may also be rules that limit what kind of development can take place on the land, so it is necessary to know them before building commences. Also, if there are other properties nearby, you should not assume that the limits of the vacant lot ends where that property begins. It could be the case that neighbors have unknowingly—or purposefully—encroached on the land. It could also be possible that the land was rezoned, which is why you need to find the zoning limits of the vacant lot. A plot of vacant land may not necessarily have electric, plumbing, or gas lines connected to the property, so you should find out if any of those modern conveniences are present. It is entirely possible that a piece of vacant land might not even have a sewer line connected to it and building one could require extra expenses along with the necessary permits. If utility lines are present, then you should find out if they are up to date, since outdated lines could cause problems after the house has been built, and fixing those problems can cost a lot of money and cause a lot of inconvenience. An agent who knows the land can help with the zoning knowledge needed for that land, they can also help you with the finer details and the due diligence process. They will also know if it is possible for the land to be subdivided, since that is important knowledge to have before closing the deal. In some cases, land sellers will claim that the land can be subdivided when that is not the case, leading to land that is less profitable than the buyer expected. You need to make sure that the home you are building on the vacant land is of a similar value to the other homes in the neighborhood. If there is a significant difference in the value, then you might not get the construction loan. So, you need to make sure that your home is not overpriced in comparison to the rest of the neighborhood. Finding vacant land near Los Angeles can be difficult and finding flat vacant land can be even trickier. That is why it is vitally important not to rush to make an offer when you discover a piece of land that is available. It could be available because there is something wrong with it, or you could just have gotten lucky. In either case, you need to do a thorough inspection of the land before making an offer. Following the guidelines laid out in this article will help to mitigate any potential problems you can encounter when looking for vacant land near Los Angeles. Once you have found the right plot of land, contact Pacific Green Homes and we will take care of everything you need to build your new home.